Beaded Coral necklaces are perfect for hanging a pendant off or just wearing as is for a pop of color. 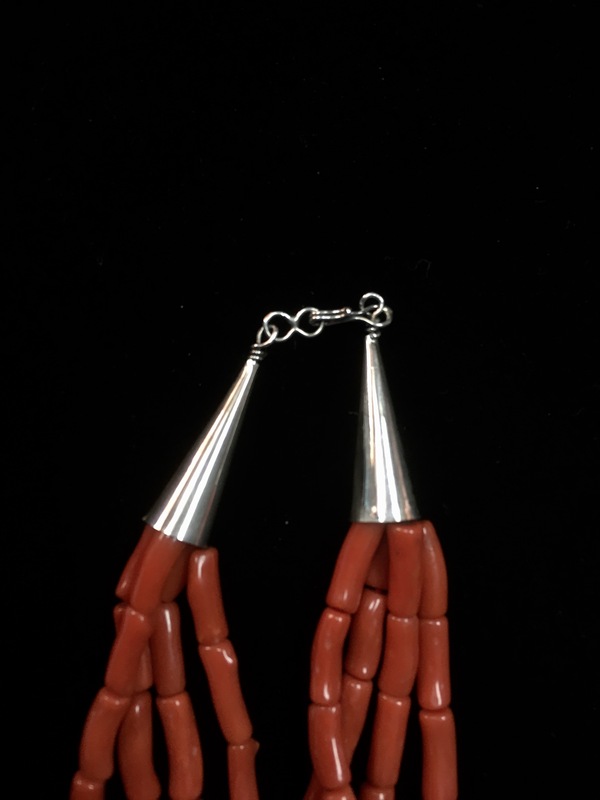 This particular piece of Native American jewelry is made by a Navajo jeweler using amazing red coral and Sterling Silver for the tips. There are four strands of Coral in this necklace. 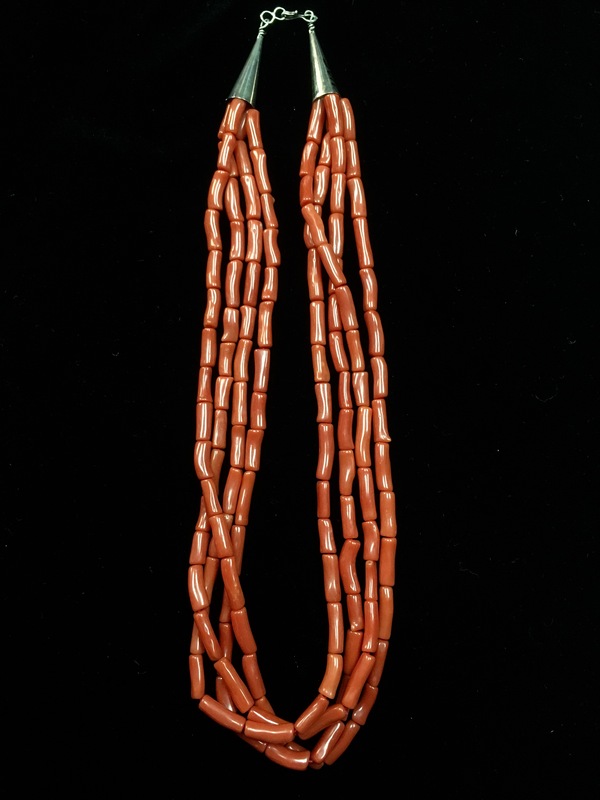 Navajo Artist Coral Beaded Necklace is a Native American Jewelry must-have for any true collector! 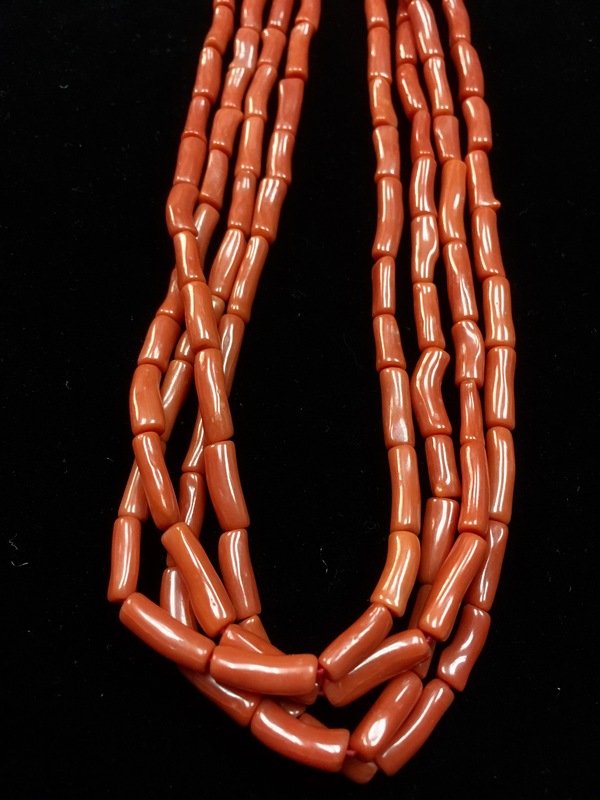 It features four beautiful strands of red Coral and Sterling Silver tips.